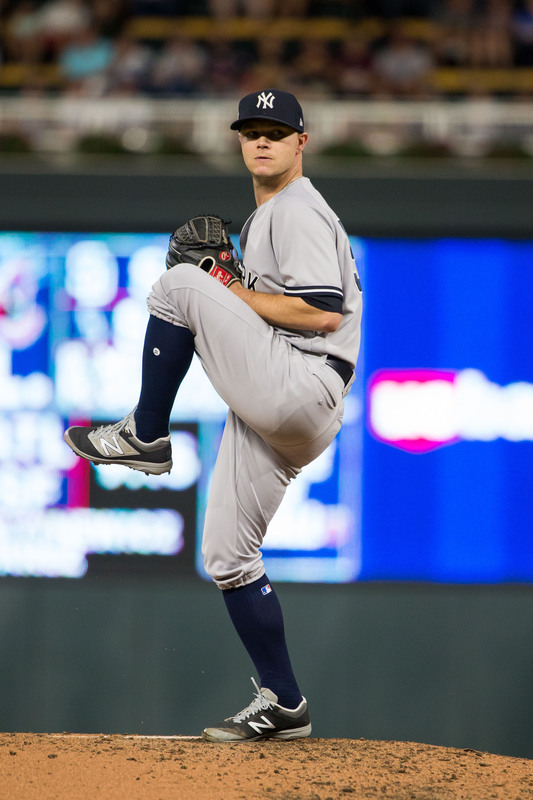 After several days of reporting and speculation, right-hander Sonny Gray has officially been traded from the Yankees to the Reds and also agreed to a contract extension with Cincinnati. It’s a three-team deal that also involves the Mariners. Second base prospect Shed Long and a Competitive Balance Round A pick go from the Reds to the Yankees in exchange for Gray and left-hander Reiver Sanmartin. New York, in turn, has flipped Long directly to the Mariners in return for center field prospect Josh Stowers — the Mariners’ second-round pick in the 2018 draft. As part of the trade, Gray has agreed to a new, three-year contract extension with the Reds that’ll span the 2020-22 seasons. He’ll earn $30.5MM over those three campaigns — that’s in addition to his $7.5MM salary for the 2019 season. Along with a $500K signing bonus, the deal reportedly promises $10MM in each of its three years and also comes with a $12MM club option for the 2023 season. There are $500K worth of incentives in each new season of the deal, with that value achievable in full at 190 innings pitched, and his annual salaries can grow based on performance escalators. Gray’s contract doesn’t contain a no-trade clause but stipulates that he be paid a $1MM assignment bonus each time he is traded. Cincinnati emerged as a front-runner to land Gray last Friday, and his addition will be the third such pickup of the Reds’ offseason, joining lefty Alex Wood and fellow righty Tanner Roark. That trio will be added to a new-look Cincinnati rotation that’s also projected to include holdovers Luis Castillo and Anthony DeSclafani. It’s a group that should give the Reds a vastly more competitive outlook in 2019 while likely pushing names such as Robert Stephenson, Brandon Finnegan, Tyler Mahle, Jackson Stephens and others out of the Major League rotation mix and either into bullpen roles or back to the minors (Stephenson, it should be noted, is out of options). A change of scenery for Gray, 29, only makes sense after he struggled profusely with the Yankees in 2018 — particularly when pitching at Yankee Stadium. Gray posted a ghastly 6.98 ERA at home in 2018 compared to a 3.17 ERA on the road, and while there’s surely more at play in those splits than the surface-level numbers exhibit, the contrast between the two numbers is unequivocally jarring. The Reds quite likely found it encouraging that Gray’s velocity remained consistent with its previous levels (93.8 mph average fastball), that his swinging-strike rate remained north of 10 percent and that his ground-ball tendencies (50 percent) remained above the league average. Gray actually allowed home runs at his lowest rate since 2015 as well (0.97 HR/9; 13.3% HR/FB), despite pitching more than 40 percent of his innings at the homer-friendly Yankee Stadium. Of course, he’ll be moving to a similarly hitter-friendly setting in the form of Cincinnati’s Great American Ball Park, though the move to the National League should prove beneficial. With the extension now in place, the trade of Gray differs starkly from Cincinnati’s acquisition of Wood and Roark, each of whom is a pure one-year rental. In essence, it’s a bet that the move into a lower-pressure setting could help Gray in a similar manner that Matt Harvey seemed to benefit following his own trade over from the Mets this past May. Gray, it should be noted, is not far removed from an extended run as a high-quality arm; the former No. 18 overall draft pick entered the 2018 season with a career 3.45 ERA in 770 1/3 innings, highlighted by an All-Star nod and a third-place Cy Young finish in 2015. While it may be too much to expect for Gray to return to those lofty heights, he at the very least has the potential to help comprise a radically improved Reds rotation and gives the team some long-term stability a a time when many of the pitching prospects acquired over the course of Cincinnati’s rebuild have yet failed to pan out. Cincinnati will also add a left-handed option to the middle levels of its farm system in the form of Sanmartin. While he wasn’t considered to be one of the organization’s top prospects, Sanmartin reached Double-A for the first time last season, at the age of 22, and pitched to an overall 2.81 ERA with a 58-to-4 K/BB ratio in 67 1/3 innings between Class-A, Class-A Advanced and Double-A. New York originally acquired Sanmartin out of the Rangers organization in a swap that sent righty Ronald Herrera to Texas. Long, meanwhile, will head to the Mariners in a surprise development and give Seattle a prospect that is not far from big league readiness. The 23-year-old Long was a 12th-round pick by the Reds back in 2013 but has vastly outperformed that draft billing, rising to the Double-A ranks and hitting at a .261/.353/.412 clip with a dozen homers and 19 stolen bases this past season. Kiley McDaniel and Eric Longenhagen of Fangraphs ranked Long seventh among Reds farmhands just last month, noting that the converted catcher still has some defensive question marks at second base. That said, he has the bat to profile as a regular there if he can improve his glovework, and if not, he could move to an outfield corner. Stowers, in turn, is several years further from the point where he’d need to be added to the 40-man roster in New York. He went a round or two higher in the draft than many expected on the heels of a strong finish to his college season at Louisville, and it seems that given New York’s quick acquisition of him, the Mariners weren’t the only ones who hoped to snag him in the draft’s early rounds. The Yankees will also acquire a pick that is currently slotted in at No. 36 overall but could move a bit, depending on the outcome of the remaining free agents who rejected qualifying offers (and the subsequent draft pick compensation attached to them). The No. 36 slot last season came with a $1.967MM slot value, meaning the Yankees have likely added another $2MM+ to their bonus pool in the 2019 draft. A trade of Gray has been expected since early in the offseason since Yankees general manager Brian Cashman openly spoke about his desire to find a change of scenery for Gray. Today’s swap gives the Yankees a rotation consisting of Luis Severino, James Paxton, Masahiro Tanaka, J.A. Happ and CC Sabathia. With Gray no longer in the fold, the Yankees’ top depth options are Domingo German, Jonathan Loaisiga, Luis Cessa and Chance Adams. The organization likely hopes to have lefty Jordan Montgomery, who underwent Tommy John surgery early last summer, can return late in the 2019 season, though it certainly possesses ample rotation depth even if he’s shelved into the 2020 season. The Athletic’s Ken Rosenthal reported Friday that the Reds were closing in on a deal to acquire Gray. Fancred’s Jon Heyman tweeted over the weekend that Long and the draft pick would likely be involved in the deal, if completed. Rosenthal first added that the trade could hinge on an extension. ESPN’s Jeff Passan reported today that Gray had been traded, confirming Long’s inclusion and adding that he’d been flipped to Seattle for Stowers. Rosenthal reported the extension and the terms of Gray’s new contract, with Bob Nightengale of USA Today adding salary details. Bobby Nightengale Jr. of the Cincinnati Enquirer added Sanmartin’s inclusion in the swap. Heyman tweeted the trade assignment bonus.